Why do people think that angels have wings? Do you think that angels have wings? If you do, why do you believe that? Is it what the Bible says? In Genesis 18, Abraham is visited by 3 men and it turns out one of them is God (most of us would assume this is Jesus) and then in Genesis 19.1 it is revealed that the two men are angels. Joshua met the commander of the Lord’s armies (Joshua 5.13-15) and as he approached him, the Bible says that he looked like a man. Gideon talked to a man and he only realized it was the angel of the Lord when he disappeared (Judges 6.22). Nowhere does anyone say in these or in any of other Bible passages that describe angels ‘oooh, what big wings you have’. Angels are sometimes mistaken for men which means that they look like, err, men. 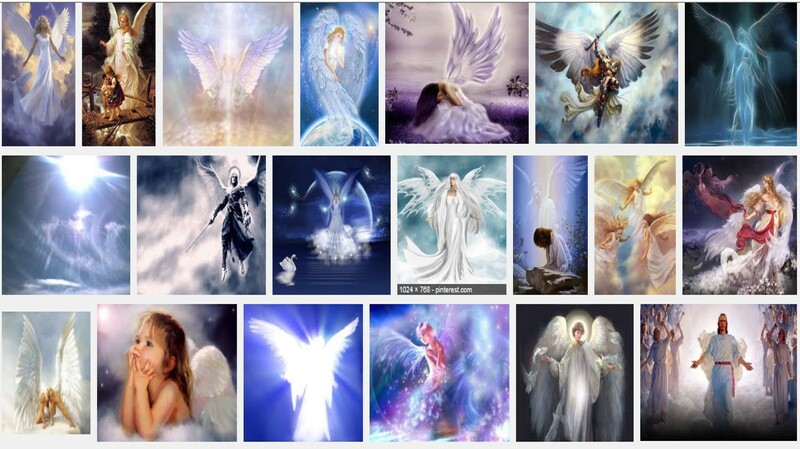 This picture shows the top 20 Google images in a search for angels. Look at all those wings. If angels look like people, why do most people think that they have wings? Whether Angels have wings or not is not the most important issue in the world. What is important is that we know what the Bible says rather than creating our own pick and mix faith. If you believe something about God, do you believe it because you think it is true or because the Bible says it. I’ve met Christians who believe that God is so nice that he will never allow any harm to come to them. Needless to say that they often are disappointed with God because he is not being the god that they want him to be. If we don’t read the Bible, then how can we know what it says. These and many other important questions are answered in the Bible, so let’s read, take it in and live by it. This entry was posted in Bible, Faith and tagged believe the Bible, Do angels have wings?, do we know what the Bible says?, read the Bible, the Bible tells us the truth. Bookmark the permalink. 1 Response to Why do people think that angels have wings? At this time of the year, lots of us have seen or will see nativity plays. Did the angels have wings? If so, where does the idea that they have wings come from in the Bible?